Old J is sumptuous - sweet and rich, a bit like an enhanced Red Leg. The lime and vanilla really come through. I have to have lots of ice otherwise it's a bit sickly. As I understood it, he used to work for Sailor Jerry's before they changed their formula and wanted to get back to their original style. I tried the Tiki Fire and it seemed too strong at first. Tried a little water and that spoiled it. Then tried it with ice and it transformed it - it's exquisite. I almost never mix decent rum. That’s your opinion. That’s what it tastes like to me. I don’t think that’s a bad thing. It’s a decent, inoffensive standard rum. Not spiced. I prefer Havana Club though or something spiced. They usually price match the supermarkets. Asda in this instance. Kraken Black Spiced Rum 1L 40% vol £26.29 free delivery Amazon. Ends midnight tonight. This is a bit meh......holding out for black magic to go down! A poor brand with over inflated prices. Noticed this earlier in Tesco, seems to be a decent saving over the £22 original price. 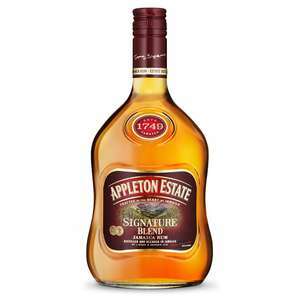 It's a delicious, smooth rum which tastes lovely. What?? You should have more concern about what your own country is doing to the world. If you want to see a positive change, get off the couch and initiative it yourself. Horrid, sickly sweet and not worth it at £5 let alone £12. Yeah it was slightly more prominent on the old label but it's had a new design recently. Just noticed that discreetly placed on the bottom left of the label! On the bottle is says "spirit drink" to get around that particular piece of red tape. This rum makes a fantastic 'Dark &amp; Stormy', currently my favourite tipple. Thanks for the info, I'll definitely give this a go then. Gone for it... I mean, what's the worst that can happen. Far better than Malibu. This is an excellent price. What with an air-rifle? Seems a waste to do that. Never miss a 'Rum' deal again! In my opinion, the XO is better. could anyone confirm it that's national? Just got a Ron zacapa xo, wouldn't mind trying the Appleton one. Looks like the deal is finished at sainsbury. Just bought it today too. Happy days. It's the anti alcohol, ceramic cravers. I think the point of this deal is that you can sell the empty bottle and make back most of the original cost. I have the jet black limited edition bottle (2016 I think) bought for £29.99 from Drinks supermarket. Just did a quick search on ebay and one listing is for £85 and another for £105(!!!). Whether they actually sell is a different matter of course but it is an indication that there is a market out there for them. This is always the standard price for the limited edition Kraken rum on Amazon, cold. I spotted this yesterday at my local. So still worth looking out for. There is a redesigned bottle out I think. Probably why they are selling them off. It's not available online anymore so they might be discontinuing it. https://www.tesco.com/groceries/en-GB/products/271206624 YMMV. Thanks OP I'll check my local store, fingers crossed! Great deal OP! ..will keep my eyes open. Arrr I like me some good grog! I thought this stuff was awful, but no accounting for taste! I imagine it would be rather nice albeit a bit syrupy. I like mine neat. Hey Lesley this will definitely be £15 in Scotland. 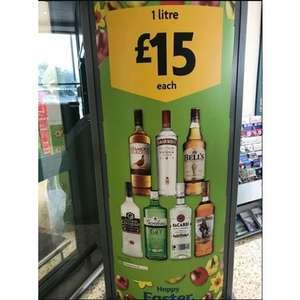 I have recently use a website called xikixi.co.uk for buying spirits .. postage is a flat £14 as its posted from Spain but i bought a mix of Myers Rum at £14.30 a litre , Smirnoff red label at £13 a litre and Grouse at £13.50 a litre so with friends we bought around 14 items . so added £1 to the prices above. The packaging was first class and the stuff arrived in about 5 days . There are loads of different spirits available but for me the Myers was the top offer, but Appletons , Mount Gay, Plantation , Botran varieties are on offer .. the web site is a bit clunky especially from a phone so best use a laptop but overall excellent value .